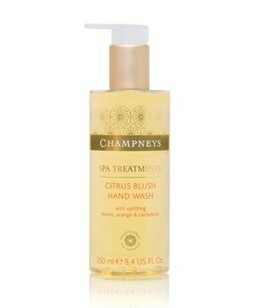 This gentle yet refreshing hand wash, leaves skin smooth and clean. 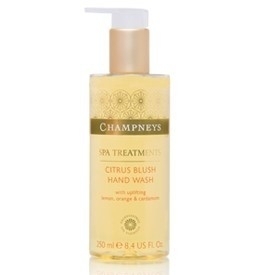 While the zesty blend of orange peel oil, lemon oil and cardamom combine to stimulate and rejuvenate, this gentle yet refreshing hand wash, rich in moisturising glycerine, leaves your hands feeling smooth and conditioned. 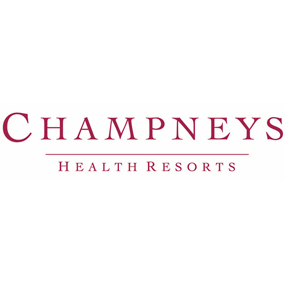 Therapists at Champneys recommend keeping a bottle in the kitchen and bathroom. Aqua (Water), Sodium laureth sulfate, Glycerin, Cocamidopropyl betaine, PEG-150 distearate, Sodium chloride, PEG-40 hydrogenated castor oil, Cocamide DEA, Sodium sulfate, Parfum (Fragrance), Limonene, Phenoxyethanol, Citrus medica limonum (lemon) peel oil, Disodium EDTA, Benzotriazolyl dodecyl p-cresol, Citral, Linalool, Propylene glycol, Alcohol denat., Eugenol, Methylisothiazolinone, Sodium benzoate, Alcohol, Tris (tetramethylhydroxypiperidinol) citrate, Citrus nobilis (mandarin orange) peel oil, Elettaria cardamomum seed oil, Denatonium benzoate, CI 15985 (Yellow 6), CI 19140 (Yellow 5). I rather liked this but mostly because I got it at half price in a Christmas sale. The scent is slightly odd; more sweet than a traditional citrus but very nice either way. Beyond that it's a good but not outstanding hand wash. The pump dispenser is reliable (even if the amount dispensed is a little low). Not in the Molton Brown league but not in the price range either. Easy to use pump, does not dry out hands and scent is nice. Really good hand wash, easy to use pump, bottle looks nice. Lathers up well with only a tiny drop and also does not dry your hands out. Follow with the hand cream for awesome results.